For months, the Metro School Board has been bitterly divided over the future of Dr. Shawn Joseph. Now, the controversy over Nashville's first African-American director of schools is dividing the city's black community. Some members of Nashville's Interdenominational Ministers Fellowship plan to rally behind Dr. Shawn Joseph on Thursday night as he faces growing dissatisfaction among school board members. That's why Lewis said she decided to speak up. "It took a lot for me to do this, but I just know that it's the right thing to do," she told NewsChannel 5 Investigates. For almost four decades, Lewis has been on the forefront of issues affecting Nashville's black community. So when she saw the city's first African-American director of schools facing tough questions, Lewis admits she was convinced it was racially motivated. "I just thought about this man in this great position and the media was attacking him." And when new school board member Fran Bush came out against Joseph, Lewis took her to task for not supporting a black leader. "I ran into her at an event, and I wore her out -- and I meant it," she added. But the reverend says she started talking to families in her community, then she took a job at one of district's troubled alternative learning centers. "For me, it was like I had an epiphany, and it hit me like a sledge hammer: it's about these kids," Lewis said. What she saw is a school system that, she said, is broken -- and not getting better. "We're sitting here, holding meetings and holding protests about someone's position when we've got thousands of children who are failing grades, who are killing, who are having babies, who are committing suicide -- and we are talking about one man's position," Lewis said. Rev. Enoch Fuzz echoed that sentiment. "You're rallying to save his job," Fuzz told NewsChannel 5 Investigates, referring to the upcoming rally by his fellow ministers. "I need a rally -- and I need you guys to be at the rallies -- that address the issue of our children's schools failing." Fuzz said he hears that some schools in his community are struggling more than the school system wants to admit. While Joseph has made the case for more tax money, Fuzz says there's so much more that could be done. "This ain't a black-white thing, this is about our children, this whole city," he added. "Nobody from the school board has come to me to say Reverend, come help us with these schools. And I think the director ought to lead that charge." Lewis said she now realizes her challenge to Fran Bush was misplaced. Taking a deep breath she said, "I applaud her for her courage to stand. It's not easy." NewsChannel 5 Investigates asked, "Do you think it's time for Dr. Joseph to go?" 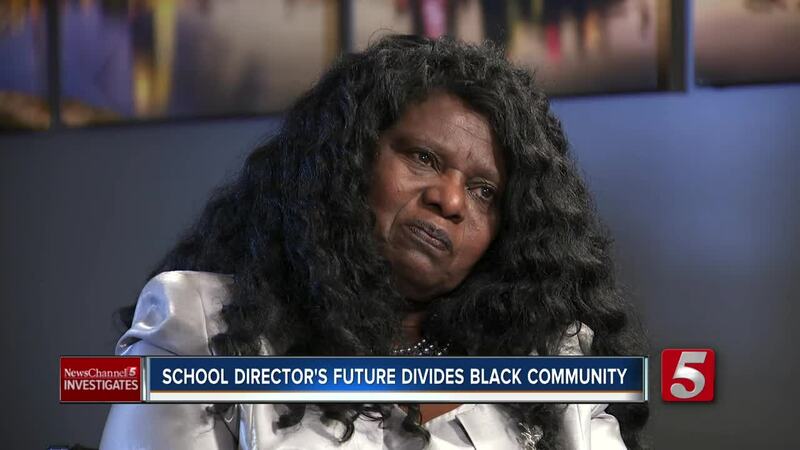 "I think it's time for the school board to make that decision," Lewis said, "but I will say that the school system is broken and that is the key callout to me - and our children are suffering." As for Dr. Joseph, he has argued that fixing a broken school system takes time -- and resources.